A calm, relaxed and fashionable moment waiting for the red light to change. 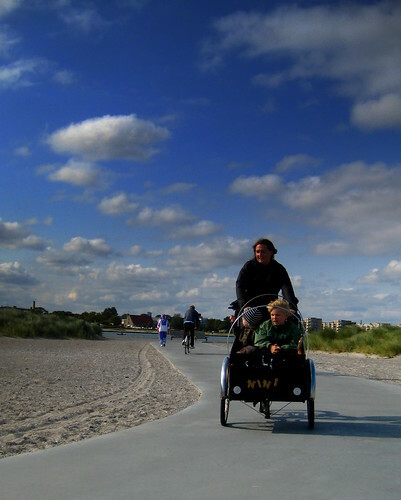 Bike rides at the beach are always pleasurable. 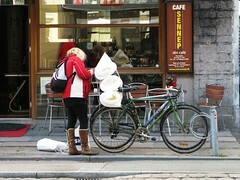 She took her time carefully fastening all manner of newly purchased things to her bike. I find this pleasurable when I have to do it myself. The stuff on the ground ended up on the little front rack. I wanted to get a photo of her cycling away but to be honest, I couldn't be bothered waiting.